Hey everyone, now that we’ve discussed Thanksgiving ideas, it’s time to start talking about Christmas decor. Don’t worry! 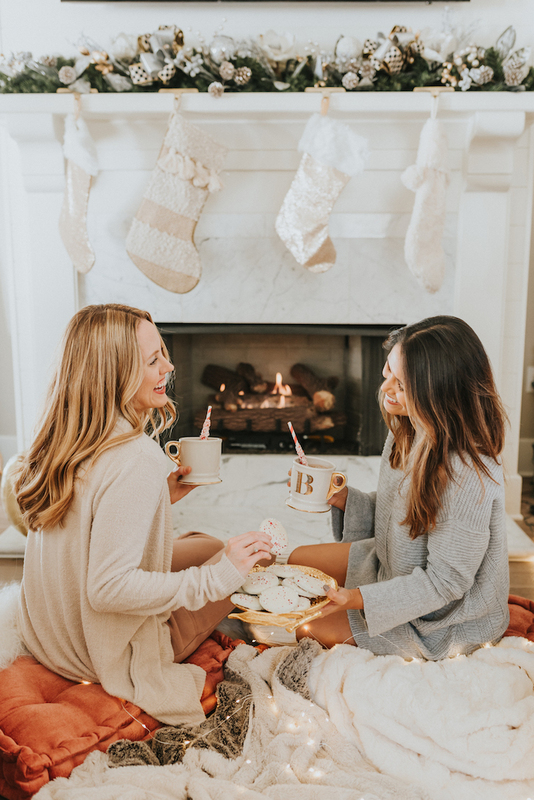 That doesn’t mean you need to start decorating just yet, but you may want to set a date with a few of your close friends and family for a cookie-baking, hot-cocoa-drinking, Hallmark-movie-watching, Christmas-tree-decorating party! Man that’s a long title for a party, but doesn’t that sound like the most magical way to kick off the holiday season? 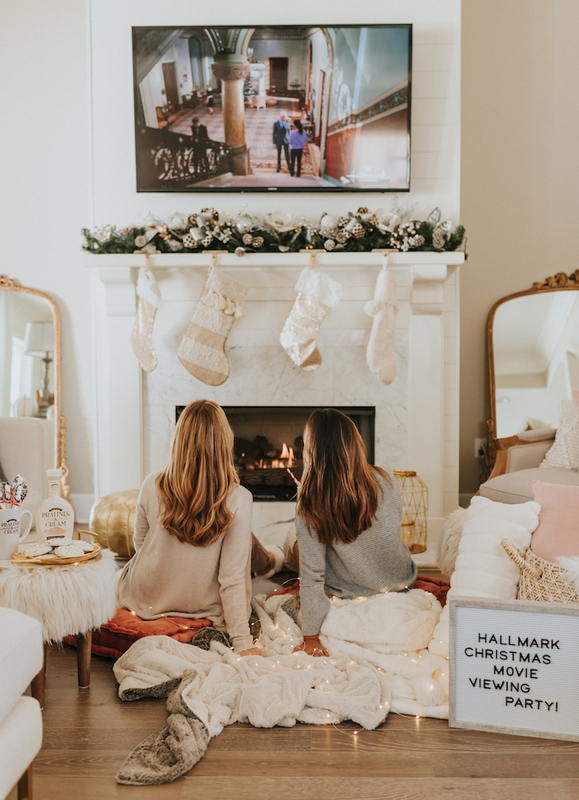 I’m sure you’re answer is yes so scroll through today’s post some Hallmark Christmas movie decorating party ideas with World Market! Because it’s way more fun to decorate with the family and friends instead of alone! The more the merrier, right? 1) Set a date for after Thanksgiving day to host your holiday decorating party. 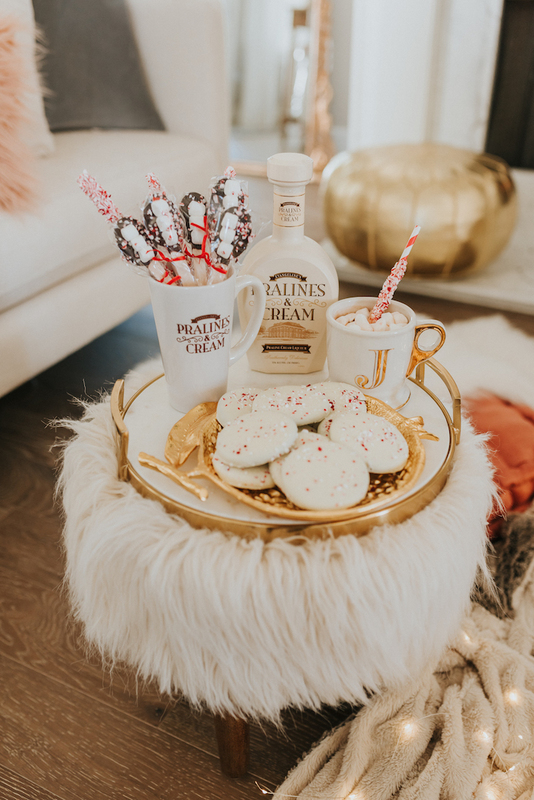 Let your guests knows that there will be plenty of sweets, hot chocolate, boozy drinks and cozy blankets for Hallmark movie watching. BUT there will still be some decorating involved. 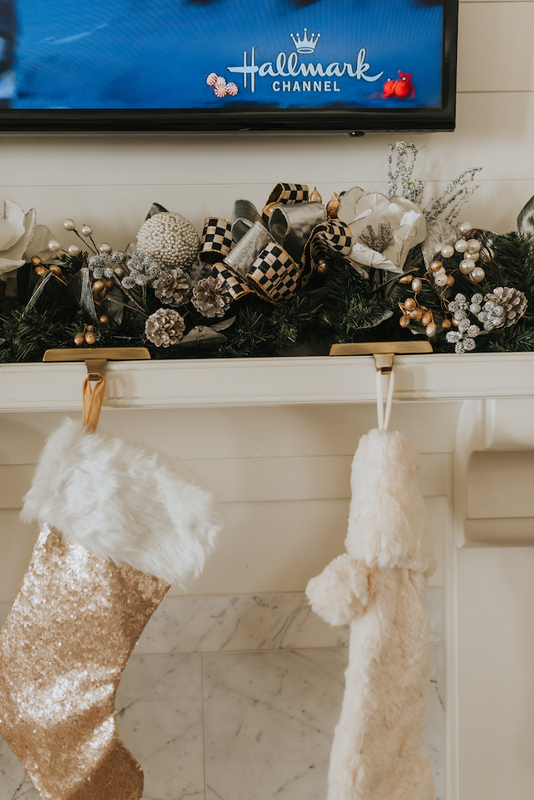 2) Before getting all of your old decor out or purchasing any new decor, scroll through Pinterest to see what kind of vibe you want to go for this year or if there any other parts of the house you want to decorate that you didn’t decorate last year. Next pull out all of last year’s holiday decor to make everything still works and to see what you need more of. 3) Head over to World Market for all you Christmas decorations and holiday party needs. 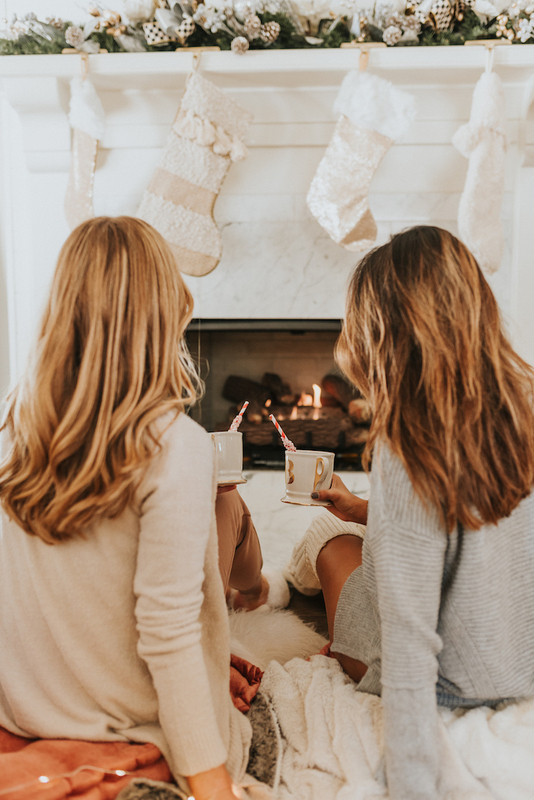 They have everything from snacks, wine and hot-chocolate to ornaments, cozy blankets and home decor. I was able to find mostly everything I needed for my party at World Market. I would go sooner than later though to beat the Black Friday craze and traffic! 4) On the day before your Hallmark Christmas movie decorating party, get all of the difficult stuff out of the way, like mounting the tree and unboxing all of the ornaments. You can even go ahead and string all the lights to get everyone in the Christmas spirit. 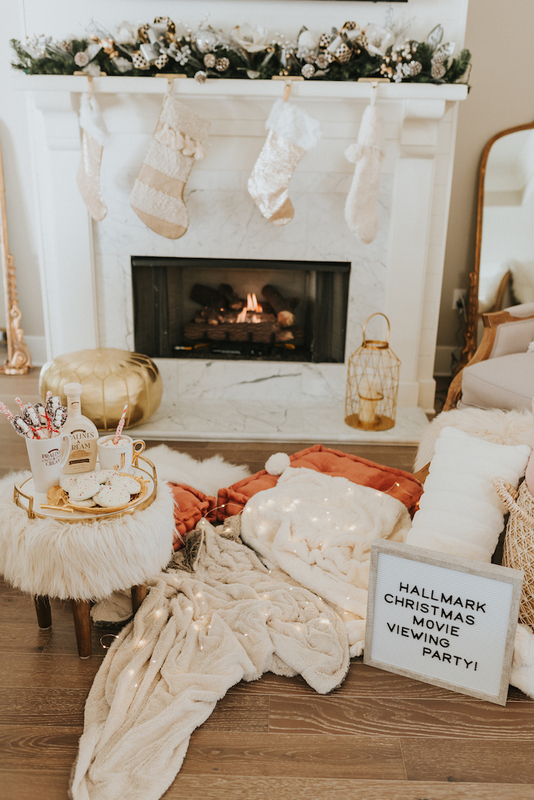 5) Before for your guests arrive, create a delicious table spread of snacks and drinks and gather all of the cozy blankets and pillows in your house for a cozy vibe. Oh and you can’t forget about a Christmas playlist! Duh!